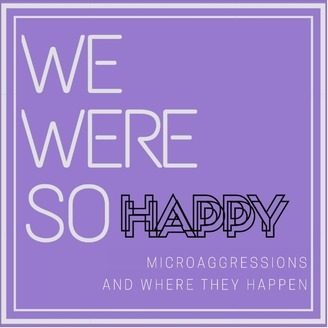 "We Were So Happy: Microaggressions and Where They Happen” is a place for calling folks in and calling them out. 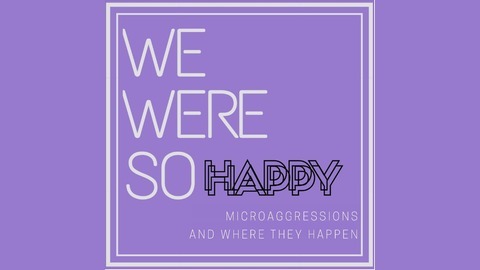 Each installment of this podcast will feature one contextualized story of a microaggression and break it all the way down. The goal? To examine the ways that history, intent, bias, and stereotypes can affect the people we interact with, talk to, and even love everyday. Episode 9: How'd Your Mom Come Up With Your Name? Zakiya Jackson is back this week to talk to us about a bogus elevator exchange and the many ways that racism privileges some names and experiences over others.